An independent federal agency, the United States Trade and Development Agency (USTDA) is responsible for helping promote development in other countries while also advancing economic opportunities for U.S. businesses. It carries out this dual mission by distributing funds to foreign projects that in turn hire American companies to perform such work as technical assistance, feasibility studies and training, so that American taxpayers are, in essence, paying select companies to perform work overseas. Agency funding has been distributed around the globe, from Latin America to Sub-Saharan Africa. At times, the agency has been accused of targeting its grants to help American industries exploit the natural resources of foreign regions. 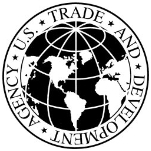 The idea behind the United States Trade and Development Agency (USTDA) began with early foreign assistance initiatives like the Marshall Plan and subsequent legislation such as the Mutual Security Act of 1954 and the Foreign Assistance Act of 1961. In 1974 Congress added section 661 to the Foreign Assistance Act of 1961, which addressed the concept of using taxpayer dollars to assist overseas development through U.S. corporations. In the 1970s, the U.S. Agency for International Development (USAID) was in charge of putting foreign governments in touch with American agencies to gain so-called “reimbursable services.” This work was handled by USAID’s Office of Reimbursable Development Programs. Funding for activities that linked U.S. businesses to development efforts in 1976 and 1977 fell to only about $1 million annually. Soon thereafter, however, many lawmakers in Congress began to believe that the federal government should be more active in development programs. In 1978, Congress directed USAID to increase emphasis on private sector involvement in development assistance. By March 1979, USAID issued new guidelines facilitating the involvement of American companies in development from the earliest planning stages of the projects through implementation. In July 1980, in an effort to bolster the link between private sector and development activities, USAID’s Office of Reimbursable Development Programs was made a separate part of the International Development Cooperation Agency (IDCA), a newly created umbrella agency tasked with coordinating all American development assistance programs in the federal government. At the same time, the former AID office was renamed the Trade and Development Program (TDP). Congress further strengthened TDP’s autonomy with passage of the Omnibus Trade and Competitiveness Act of 1988, which turned the program into an independent agency and required the TDP director to be appointed by the President. It established the TDP as the primary federal agency responsible for providing information to the private sector regarding trade and development and export promotion. In December 1992, Congress enacted the Jobs through Export Act, which renamed TDP the Trade and Development Agency (TDA). Lawmakers supported the name change to clarify and emphasize that TDA is an independent agency and to increase its visibility as the primary federal agency promoting private sector trade development in developing countries. In addition, the act required annual independent audits of TDA’s financial statements. In March 2010, President Barack Obama implemented the National Export Initiative, an executive order to bring about the doubling of U.S. exports through 2015. In support of that goal, USTDA launched the International Business Partnership Program (IBPP) (pdf) to open new export opportunities by connecting U.S. manufacturers and service providers with international buyers. The United States Trade and Development Agency (USTDA) is an independent federal agency that provides funding to projects overseas that help advance both foreign economic development and American commercial interests. Its funding supports various activities, including technical assistance, feasibility studies and training. The agency gives out grants, awards contracts to U.S. firms, and accesses trust funds at several multilateral development bank groups. 3,000 foreign buyers from more than 35 countries with more than 1,000 U.S. company representatives. Recipients of USTDA funds may be government institutions at the national, state/provincial, or local level, or local private companies. In selecting foreign projects to support, the USTDA looks for those that have the potential to generate significant exports of U.S. goods and services. A foreign assistance agency, the USTDA reports that in FY 2011 its funded activities were responsible for more than $3.6 billion in U.S. exports, bringing its “export measure” to $58 in U.S. exports for every program dollar that it has spent. It also claims that more than 90% of contracts it awards are performed by small businesses and that more than 40% of grants awarded to overseas project sponsors directly lead to contracts with small businesses. The agency’s programs are said to be responsible for generating over $17.6 billion in U.S. exports to emerging markets during the past decade. In FY 2008, the USTDA distributed more than $46 million in support of projects in 66 counties around the world, funding 67 technical assistance activities, 41 feasibility studies and 24 orientation visits. The average size of a USTDA grant was $400,000. USTDA works closely with numerous other federal agencies including the U.S. Trade Representative; the Departments of State, Commerce, Homeland Security and Transportation; the Export-Import Bank of the United States; and the Overseas Private Investment Corporation. The agency’s overseas activities are divided among five geographically based bureaus: East Asia and Eurasia Region; Latin America and the Caribbean Region; Middle East, North Africa and Europe Region; South and South East Asia Region; and Sub-Saharan Africa Region. Most USTDA work falls under one of two categories. Trade Capacity Building and Sector Development supports the establishment of industry standards, rules and regulations, trade agreements, market liberalization, and other policy reform in foreign countries. Project Definition and Investment Analysis involves activities that support large capital investments that contribute to overseas infrastructure development. In additions to its bureaus, the USTDA operates offices at its headquarters that handle responsibilities for legal affairs (general counsel), external relations, grants administration, evaluations, finance, contracts, general administration, information technology, and an Information Resources Center. The United States Trade and Development Agency (USTDA) provides details on all of its overseas contract awards. The agency awards are grouped into categories covering agribusiness, energy and power, human resources, manufacturing, mining and natural resources, telecommunications, transportation, and water and environment. For example, in September 2011, USTDA awarded a $580,000 grant to Kenya's Ministry of Information and Communications to develop a National Cybersecurity Master Plan; and three grants totaling nearly $1 million to support the Turkish private sector’s efforts to develop clean sources of energy and promote energy efficiency. In July 2011, the agency gave a $502,798 grant to the South Refineries Company in Iraq for a feasibility study on the rehabilitation of its Basra refinery. In March 2011, USTDA awarded a $660,000 grant to the China State Grid Electric Power Research Institute in support of opening China's market for U.S. clean energy technologies. The grant is to fund a feasibility study and pilot project on the implementation of a smart grid demand response management system. In September 2007, the agency gave out two grants (pdf) to Indonesian companies totaling $1 million to help develop alternative sources of energy. In September 2005, USTDA awarded a $570,000 grant to Petron Corporation, the largest oil refining company in the Philippines, to partially fund a feasibility study for the development of a benzene-toluene-xylene (BTX) recovery and extraction unit. The USTDA awarded in December 2006 to the Afghanistan Telecommunications Regulatory Authority (ATRA) a $404,500 grant to fund technical assistance to the ATRA in determining how to implement and administer the Telecommunications Development Fund (TDF), which was established by the government of Afghanistan to further growth in rural telecommunications infrastructure. In addition to helping American businesses reap the benefits of development work, USTDA hires contractors to support agency operations. According to USAspending.gov, the USTDA spent more than $69 million from 2002-20011 on contractors. A total of 1,082 transactions engaged such services as management and support for research and development ($61,376,391 ), vocational/technical work ($2,270,265 million), basic research ($1.6 million), program management/support ($600,000), and technical assistance ($524,765). The USTDA’s largest contractor specializes in international trade event planning, organization, and management. It also does feasibility studies, regional market analysis, and project finance sourcing. The company also provides the USTDA with research and development for trade events. The USTDA’s second-largest contractor produces high-level conferences and international trade event solutions. It also aids in event planning and language and specialized communication equipment services. For the USTDA, the company provides language translation services and management and support. The USTDA’s third-largest contractor was created under a White House initiative under President Dwight Eisenhower in 1955. The Business Council for International Understanding (BCIU) is a neutral, results-oriented partner, facilitating dialogue and alliances between world businesses and political leaders. BCIU brokers contacts and organizes custom-tailored events, briefings and off-the-record discussions so that stakeholders may speak candidly about core issues in a direct and timely manner, enabling resolution of problems and promotion of business opportunities in both the private and public sectors of the global marketplace. For the USTDA, the company provides training lectures and management support. Did the White House Dangle a USTDA Job to Stop Andrew Romanoff from Running for Office? The White House in 2010 used the U.S. Trade and Development Agency (USTDA) to unsuccessfully woo a Democratic politician away from challenging an incumbent U.S. senator. Andrew Romanoff, former speaker of the Colorado House, decided he wanted the seat of Sen. Michael Bennet (D-Colorado). But President Barack Obama wanted to avoid a costly intra-party battle for the senate seat, so White House aides reportedly offered Romanoff three possible jobs in the administration if he would skip the primary election. One of the jobs offered was director of the USTDA. Republicans accused Obama of heavy-handed politics by trying to manipulate congressional primary races. Then House Minority Leader John Boehner of Ohio demanded an independent investigation into the controversy. Politicos in Washington noted that such scheming by an administration was nothing new, or illegal. Richard Painter, who served as the ethics officer for President George W. Bush, said Obama’s aides did nothing wrong when they made entreaties to Romanoff. Romanoff entered the primary, ran against Bennet, and lost. Romanoff then left politics and joined the Colorado-based non-profit International Development Enterprises, which encourages entrepreneurs in 14 countries in South East Asia, Central America, and Africa. The desire of the United States to expand economic relations with the oil-rich nation of Kazakhstan put the U.S. Trade & Development Agency (USTDA) in an awkward position of trying to help development projects at a time controversy erupted between the country’s autocratic ruler and his former son-in-law. Rakhat Aliyev, the son-in-law, tried to flee to the U.S. after the government of President Nursultan Nazarbayev accused him of kidnapping oil company executives. In addition to seeking exile in the U.S., Aliyev wanted help recovering $2 billion that was allegedly stolen from his family by Nazarbayev. Instead of living in the U.S., Aliyev wound up hiding out in Malta. But not before he was tried and sentenced in absentia in 2008 to 20 years in prison by a Kazakh court on charges of kidnapping bankers Zholdas Temiraliev and Aybar Khasenov. Also, Aliyev was wanted back home for the murders of two bodyguards killed in Kazakhstan. While all of this drama unfolded, the USTDA offered American companies new opportunities to work on infrastructure projects affecting the former Soviet republic’s transmissions lines, railways, and natural resources. Some observers have speculated that in its quest to gain access to Uganda’s oil, the U.S. will turn a blind eye to Uganda’s President Yoweri Museveni, who has been accused of jailing political opponents. If this is true, “Ugandans can expect little out of their oil find,” wrote Peak Oil. Meanwhile, two of Uganda’s top governmental officials, including Prime Minister Amama Mbabazi, were implicated in an oil scandal in 2011 when a cable released by WikiLeaks revealed that they had tried to get a $200 million bribe in 2010 from Italian oil company ENI as part of the firm’s bid for oil exploration and production rights. By 2002, the Russian energy firm ITERA had received billions of dollars worth of natural gas resources from Gazprom, a state-controlled conglomerate, practically for free. It was believed that insiders working for Gazprom had received massive kickbacks in return for the shady deals. Because of the scandal, officials at the U.S. Trade and Development Agency decided to withdraw a pending $868,000 grant to ITERA in March 2002. The cancellation represented a serious setback for ITERA, which had planned to open offices in the United States in order to expand its access to Western investment capital and markets. Two months later, then-Congressman Curt Weldon (R-Pennsylvania) tried coming to ITERA’s rescue. He flew to Moscow to meet with the firm’s executives and publicly praised ITERA as “a great source” for US energy firms seeking foreign partnerships. After he returned home, Weldon attacked USTDA for withdrawing the grant and contacted then-presidential adviser Karl Rove and then-Energy Secretary Spencer Abraham on the firm’s behalf. Four months later, ITERA signed a $500,000 contract with Solutions North America, a firm led by Karen Weldon, the congressman’s 29-year-old daughter. Karen’s job, according to lobbyist disclosure filings, was to create “good public relations so in the future ITERA may sell goods and services to U.S. entities.” Her father later wound up being investigated by federal law enforcement officials. As part of the ongoing investigation, Karen’s home was raided by the FBI in October 2006 which, along with cell phone wiretap evidence, led to the assembling of a grand jury to consider the case. To date, no charges have been filed. After his defeat in the November 2006 election—and while still under investigation by the U.S. Department of Justice—Weldon joined Defense Solutions, an international defense industry and energy management firm, as its chief strategic officer. Larry W. Walther served as the director of the U.S. Trade and Development Agency (USTDA) from March 17, 2008 until January 2009. Walther served 30 years with SBC Communications, now AT&T. He started out as a switching engineer for Southwestern Bell Telephone Company in 1970 and concluded his career as the Vice President for Corporate Services and chairman of the SBC Foundation. In that capacity, he oversaw a philanthropic organization that managed $67.4 million in community and charity giving. In 1989, he was chosen as one of 20 private sector executives to serve a one-year appointment to the Bush Administration and was assigned to the U.S. Department of the Treasury. Before taking over the USTDA, Walther served as the director of the Arkansas Department of Economic Development. There, he was responsible for the overall direction and management of the department and for representing the governor and the state on all matters concerning statewide issues of economic development. In July 2011, President Obama nominated him for membership on the Board of Directors of the Export-Import Bank of the United States. Walther has served on the board of trustees of the College of the Ozarks in Point Lookout, Missouri, since 1992, serving as board chairman from 2001 until 2007. In addition, he serves on the board of directors of Arkansas Easter Seals. He has also been a member of the executive board for Quapaw Area Boy Scouts, the University Of Arkansas Walton School of Business Board of Visitors, Downtown Little Rock Rotary, the University of Arkansas Medical Sciences BioVentures Advisory Board, the Arkansas Policy Foundation, the Southern Technology Council, and the Little Rock Sertoma Club. He is also actively involved in the Fellowship Bible Church in Little Rock, Arkansas. This website has helped me with my project on the executive branch. I chose one of the independent agencies/ government corporation, which was the US Trada and Development Agency, or the USTDA. I had to write a planning sheet and i filled it all up and the back page! It gives you so much information and porvides all the necessary details I need. President Barack Obama turned to an agency veteran, Leocadia I. Zak to lead the U.S. Trade and Development Agency (USTDA). USTDA is an independent agency responsible for helping promote development in other countries while also advancing economic opportunities for US businesses. It carries out this dual mission by distributing funds to foreign projects that in turn hire American companies to perform such work as technical assistance, feasibility studies and training. Zak was confirmed by the U.S. Senate as USTDA director on March 10, 2010, and assumed office April 10. Born circa 1957, Zak earned her B.A. from Mount Holyoke College in 1979 and her J.D. from Northeastern University School of Law in 1982. Zak practiced law for 18 years at the law firm of Mintz, Levin, Cohn, Ferris, Glovsky and Popeo. She worked first in the firm’s Boston office and relocated circa 1998 to Washington, D.C., where she was a partner practicing in the areas of corporate, municipal and international project finance. Her specialty was creating financing for large infrastructure projects such as airports, toll roads, municipal water systems and power generation facilities. 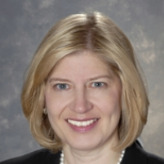 She left private practice to serve as General Counsel of USTDA from April 2000 to December 2005, and was named Deputy Director in January 2006. Zak assumed the duties of Acting Director from April 30, 2007 through March 16, 2008, and again on January 20, 2009. Zak has taught “International Project Finance” as an Adjunct Professor of Law at the Boston University School of Law and at the Georgetown University Law Center. Zak is married to Kenneth W. Hansen, a partner in the Washington, D.C., office of the law firm of Chadbourne & Park. The couple lives in Washington, D.C. A Democrat, Zak has contributed $14,050 to political organizations and candidates since 1992, all of it save $200 to Democrats, including $750 to Al Gore’s 2000 presidential campaign, $2,000 to John Kerry’s 2004 presidential campaign, and $3,300 to Barack Obama’s 2008 presidential campaign. The sole Republican was Rhode Island’s Nancy Mayer, a law school classmate of Zak’s who ran unsuccessfully for Senate in 1996. Larry W. Walther began serving as the director of the US Trade and Development Agency (USTDA) on March 17, 2008. Walther served 30 years with SBC Communications, now AT&T. He started out as a switching engineer for Southwestern Bell Telephone Company in 1970 and concluded his career as the Vice President for Corporate Services and chairman of the SBC Foundation. In that capacity, he oversaw a philanthropic organization that managed $67.4 million in community and charity giving. In 1989, he was chosen as one of 20 private sector executives to serve a one-year appointment to the Bush Administration and was assigned to the US Department of the Treasury. Before taking over the USTDA, Walther served as the director of the Arkansas Department of Economic Development. There, he was responsible for the overall direction and management of the department and for representing the governor and the state on all matters concerning statewide issues of economic development. Walther has served on the board of trustees of the College of the Ozarks in Point Lookout, Missouri, since 1992, serving as board chairman from 2001 until 2007. In addition, he serves on the board of directors of Arkansas Easter Seals. 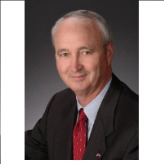 He has also been a member of the executive board for Quapaw Area Boy Scouts, the University Of Arkansas Walton School of Business Board of Visitors, Downtown Little Rock Rotary, the University of Arkansas Medical Sciences BioVentures Advisory Board, the Arkansas Policy Foundation, the Southern Technology Council and the Little Rock Sertoma Club. He is also actively involved in the Fellowship Bible Church in Little Rock, Arkansas.